Posted October 17th, 2012 by Ferntree Print Team. 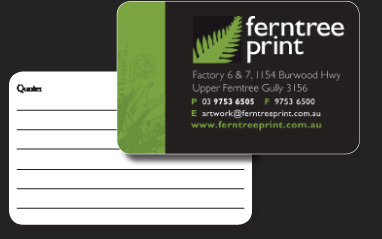 Stand out from the square crowd with our round corner business cards, cut precisely with our new PunchCardPro machine and printed on quality 310gsm stock and gloss or matt laminated. Finished Size: 85.5 x 54 mm, same size as a Credit Card.